Born (1968) in Israel. Lives and works in Hefer Valley Regional Council. Studied graphic design at the College of Jezreel Valley. 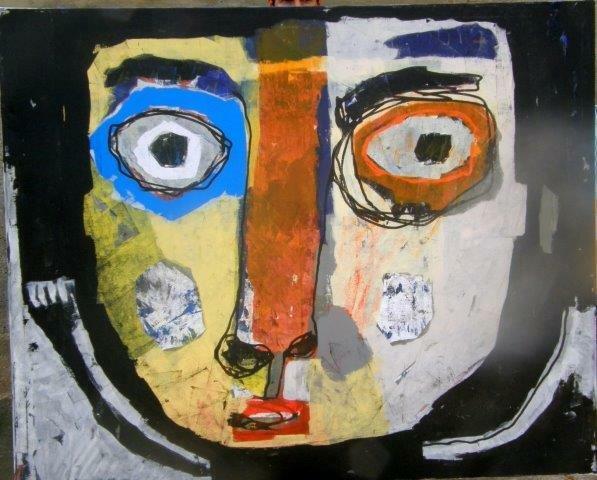 The content of Gal’s art works are based chiefly on her family’s stay in Africa as a child. Those experiences found their way into her consciousness when becoming a mother herself. The tribal symbolism she well knew echoed in her young son’s paintings and those formed the unique colorful style in her work. 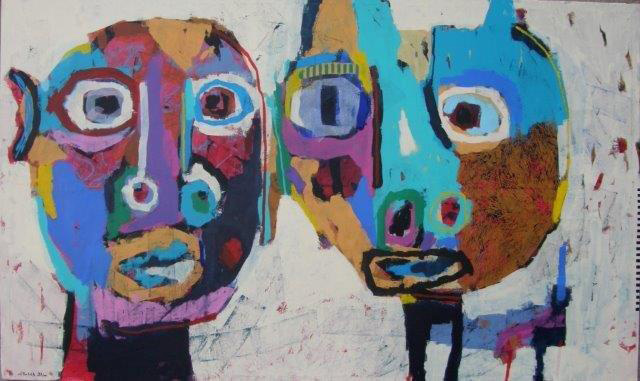 On the one hand Gal’s work of embodies the tradition of African culture, which reflected in the faces of her abstract characters and masks. But on the other hand, the artist does not seek to dictate the meaning of her creation, but rather draws the decision to its viewers whom different experiences produces varied responses. 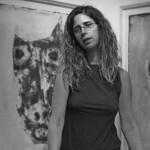 Ilana Gal have been featured in private and group exhibitions throughout the world. Her first solo exhibition took place at ZOA House in 2002.